Cryotherapy recovery is a form of physical treatment solution for traumatic injuries and after-season recovery especially in athletes. It induces physiological responses known to exert anti-inflammatory and anti-analgesic effects on the body. Therefore, a brief exposure to dry air at temperatures below -130 degrees centigrade in controlled chambers called whole body cryotherapy promotes fast recovery in athletes after injury and overuse. How long does cryotherapy recovery take? Cryotherapy is a treatment option that operates as a non-medical solution to various body problems. It involves a patient subjection to low temperatures. In fact, the patient is subjected to temperatures of -264 degrees. The method is used to reduce pains, inflammation, the ageing rate, and improve blood circulation and general performance of a person. The low and cold temperature involves harnessed liquid nitrogen. The method efficiently freezes and destroys injuries making a patient heal faster. The cryotherapy option has become a preference for different categories of people due to its abilities and effectiveness. For instance, athletes go for the treatment for purposes of fitness and pain control while its beauty enhancement has attracted many ladies, especially celebrities and models. The quick cryotherapy recovery process primarily supports this. Exercise-induced muscle damage develops 24 – 48 hours after rigorous exercise. The delayed onset muscle soreness experienced occurs as a result of micro tears in the muscle. This delay in recovery is caused by inflammation, pain and discomfort that accompany the micro tears and the cryotherapy recovery process enhances the healing and restoration. 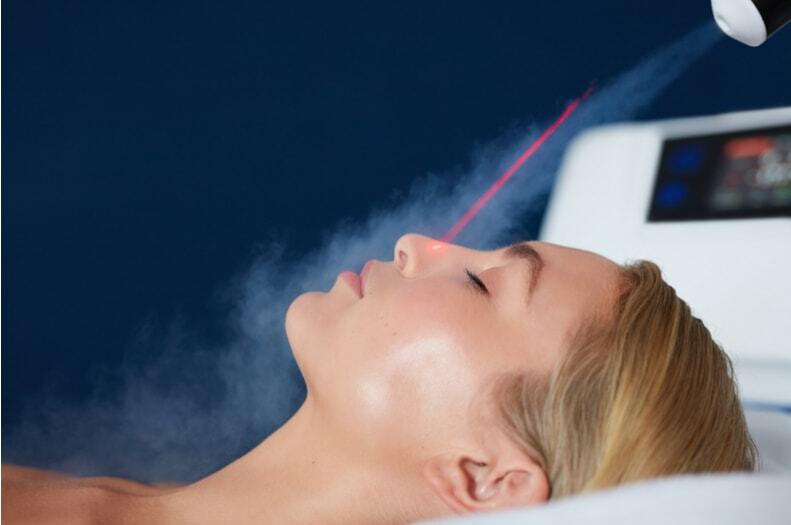 When the body is subjected to extremely low temperatures, a number of pleasant cryotherapy results are obtained. Enriched blood cells from enhanced blood flow to the injured or tired section of the body leads to rejuvenation of that part of the body. Special hormones are also released in the body, leading to immediate mood enhancement and long term mental health stability. Cryotherapy creates these phenomenal results by inducing physiological and hormonal responses. Cryotherapy delivered by extreme cold treatment at temperatures between -120 degrees and -160 degrees Celsius sends signals to the brain indicating the circulatory system’s inability to maintain optimal temperatures. The brain responds by stimulating nervous system receptors located below the surface of the skin to cause narrowing of arteries and blood vessels on the skin through a process called vasoconstriction. This process effectively causes a re-direction of blood flow from the injured or tired tissues to the body’s core and essentially bringing the process of inflammation and tissue swelling around the injured areas to a halt. The blood re-directed to the body’s core becomes enriched in oxygen, nutrients and additional hormone generated by the body’s hormonal response leading to a quick cryotherapy recovery. A special hormone called endorphin responsible for producing analgesia and a feeling of well-being is released by the brain and the nervous system following the administration of whole body cryotherapy. This hormone improves the mood and enhances cognitive processes. An influx of this hormone into the blood re-directed to the body’s core enriches the blood cells which eventually flood the injured tissues as normal body temperature returns when treatment is completed. Other hormonal responses following cryotherapy recovery include the reduction of the stress hormone called cortisol. A reduction in the body’s cortisol level leads to full body relaxation and serenity of the mind. Cryotherapy also causes an increase in the male hormone testosterone and the endogenous steroid hormone DHEA all of which contribute to the improvement of body functions and the feeling of well-being. In conclusion, whole body cryotherapy facilitates faster recovery especially in after season athletes and following traumatic injuries. Cryotherapy results in large reduction in inflammation, muscle cell damage, exercise related stress and it enhances the regeneration process.